For the nth time, fast-food workers across the country were striking because they were unhappy about their salary. They claim that they are entitled to $15/hour so they can make a decent living. Now, there’s nothing wrong with striking. As Frédéric Bastiat puts it, keeping employees from quitting their job/ask for a better pay is akin to slavery. However, when the state doesn’t force employers not to hire scabs, the strikers shouldn’t be surprised to see people agreeing with the present conditions taking over their jobs. In addition, the whole concept of “living wage” is an empty one. 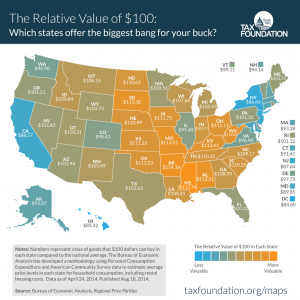 Indeed, the cost of living varies wildly among states, as shown in the recent Tax Foundation study. One hundred dollars in your pockets would only buy you $84.60, whereas that same amount would get you $115.74 in Mississippi, a 36.8 percent difference. In other words, there are fasto food strikers that “must” ask for much more than $15/hour since that is still not enough. Furthermore, those considerations are meaningless when one doesn’t consider the main cause of these disparities: Government intervention. It’s very obvious on the federal level with the Federal Reserve. Even though it’s supposed to be private, it’s tightly controlled by D.C. – they choose the governors and can make the Fed buy government securities at any time, among others. Supposedly created to stop further economic crises, it did exactly the opposite by fueling major crises like the Great Depression – the monetary supply increased over 60 percent during the Roaring Twenties -, the stagfation crisis of the 1970s – preceded by a decade of ever-increasing monetary supply – the dotcom bubble and the housing crisis. It couldn’t be otherwise. When the Fed was created, banks were encouraged to create money with the lowering of their reserve requirements to 7-13 percent – it’s now between 0 and 10 percent. Since banks are in business for profit, they therefore granted more loans even though most of them weren’t backed up by gold. As a result, the Ponzi Scheme crumble in 1929. But instead of mending its ways, government pushed its intervention further and abolished the civil gold standard in 1933. 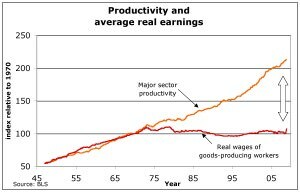 It was definitely abolished by Nixon in the early 1970s; since then, the monetary supply has increased exponentially. 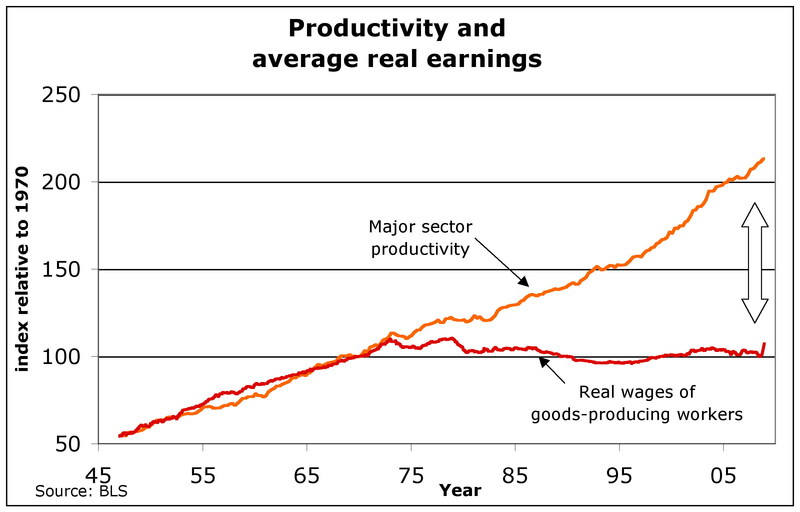 Interestingle enough, this is also when the “production gap” decried by many happened. The Jones Act is also to be blamed for inflation, especially in Hawaii. Indeed, this 1921 act states that goods transported between U.S. ports must be done by U.S. ships constructed in the U.S., owned by a U.S. citizen and filled with U.S. personnel. In other words, when Japanese ship their cars to Los Angeles, they have to empty all their cargo there; then a U.S. ship (yada yada yada) goes to Honolulu and delivers the goods there. Needless to say that economically illiterate politicians still support the Act based on national security. After all, it’s “only” two cents per day per citizen of Hawaii to have secured shipping lanes that boost the country’s economy. In short, fast food workers are right to ask for a living wage. Unfortunately, they fail to see why everything is more expensive. If anything, they should be demonstrating in front of the Federal Reserve buildings and ask for its immediate abolition. PS: I know states have something to do with price hikes, notably zoning. I will talk about it in a later article.